Travelling just got cooler! Thanks to 'The Messy Corner'. 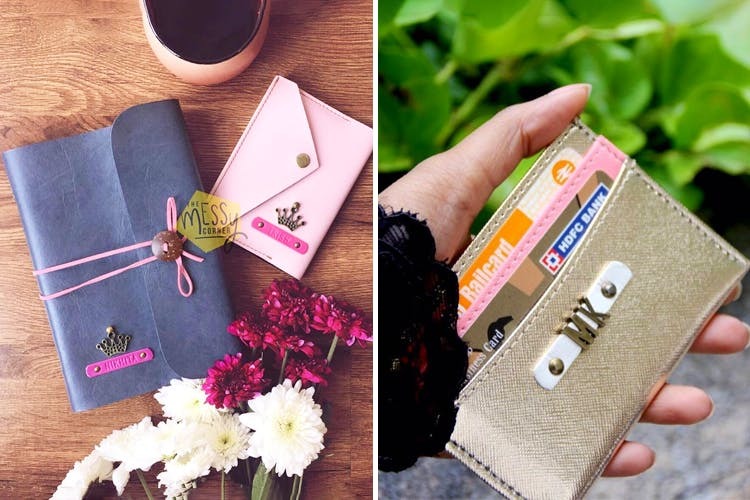 They're featuring brilliant customised products namely passport covers, laptop sleeve, diaries, keychains, travel pouches and much more. Their delivery time ranges between 5-7 days. They have cash on delivery as well as payment via debit or credit card which makes it easy for anyone to order. They have an option of gift boxes at an added cost, which makes it great if you want to gift it to someone. They usually have offers on shipping, so go make the best of it. Order in bulk to get great deals. The Personalised Card Holders From The Messy Corner Make For An Excellent Present!